Border Patrol just announced that its agents will continue to use deadly force when its agents encounter people throwing rocks across the US-Mexico border, ignoring the recommendations of an independent review of Border Patrol policy. The Obama Administration just approved of murder at the US-Mexico border, so long as Border Patrol agents are the ones doing the killing. 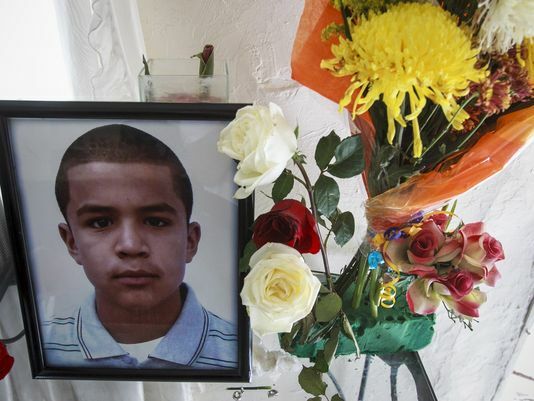 19 people have died at the hands of Border Patrol since 2010. Please join Presente and our partners at Cuentame and Border Network for Human Rights in telling the President to rein in the murderous tendencies of his Border Patrol. I’m writing to express my anger and frustration that Border Patrol plans to continue its inhumane policy of using deadly force in response to rock throwing from the Mexican side of the border. When Customs and Border Protection announced in September that it was going to adopt suggestions for improvement after internal and independent investigations of its use of force policy, Americans at and beyond the border gave a collective sigh of relief. Now, your approval of impunity and unaccountability further erodes my trust in government. We have high civil and human rights standards for our local police when they use deadly force. We expect nothing less from our federal law enforcement. I ask you to direct DHS-CBP to adhere to use of force policy recommendations made by internal and independent investigators. Doing so is a real step towards making the border safer for all of America and towards making our border enforcement system accountable. I would like to receive updates from on this and other campaigns from Border Network for Human Rights.